The end of Jesus’ life was very difficult. He was persecuted, and, at critical moments, abandoned by many who loved Him. In the Garden of Gethsemane He endured pain beyond what we can imagine, and He followed it by a painful death on the cross. Why was all this necessary? Jeffrey R. Holland, an apostle of the Lord, addressed this issue in a recent talk. He spoke of the challenges of the last days of the Savior’s life, of having a leader who found no fault in Him scourge Him anyway; of being turned on by one of His own apostles, of having the apostles sleep while he endured extraordinary suffering. And then came the cross. The purpose of Jesus’ suffering was to be able to understand what those of us who are far less perfect experience. In the final days, Jesus will serve as our advocate and judge, and to do this properly, He will need to understand what we endured. He had no first-hand knowledge of what it means to suffer because of sin. He never experienced, through His own choices, what it meant to have God withdraw. Mormons teach that each person is entitled to the Spirit of Christ and those who have been baptized may receive the Gift of the Holy Ghost. (The influence of the Holy Ghost can be with people before baptism, but not in the same way as it can be afterwards, when it becomes a gift and not just an influence.) However, the Holy Ghost cannot be where evil is, and those who are intentionally choosing to sin and who ignore the warnings of the Holy Ghost are left alone to cope with the consequences. Jesus Christ never experienced this feeling of being alone, without God or the Holy Ghost present as a comfort and a guide. In His final moments, He was given this experience. He hung on the cross alone. No others could come closer than the ground below. No angels strengthened Him as they did in the Garden. This time, for a brief while, He was utterly alone. One reason Jesus Christ came to earth as an infant and grew to adulthood, rather than simply coming down from the clouds for a short time, was so He could gain experiences and come to understand what it means to be human. As He experienced the challenges of a mortal body, as He faced hunger, sorrow, worry, and joy, He better understood our lives and our motivations. It became easier for Him to understand the trials and temptations we faced. This gave Him the complete understanding and compassion necessary for Him to understand how we can be fairly judged. 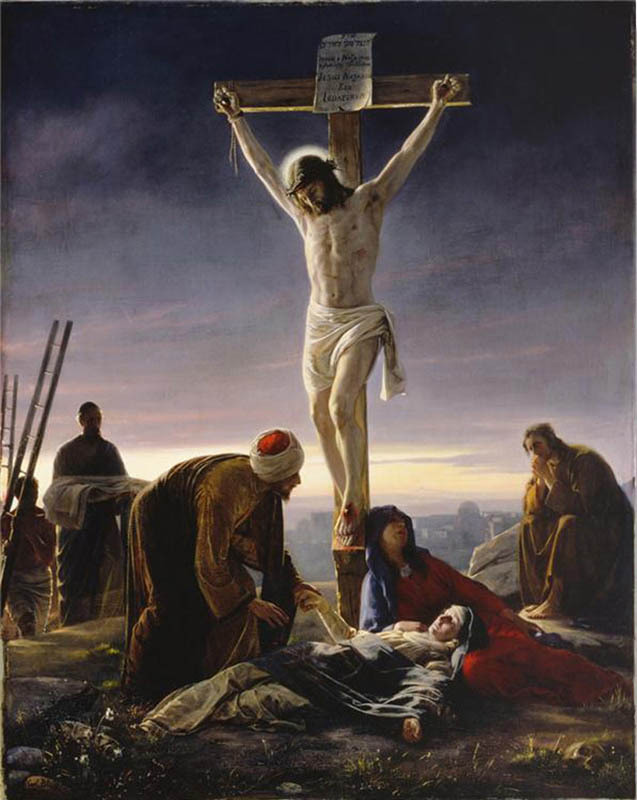 His suffering, which He voluntarily endured, was a gift for us, one of many great and eternally significant acts of sacrifice on behalf of His brothers and sisters.